Colaba’s star is on the rise. Last year, 11 eateries mushroomed in a stretch that’s about 1 km long, barely 200 metres deep and already houses some 60 restaurants. To anyone who’s been keeping track, this may seem odd. After all, for over a decade, barely two or three eateries opened in this stretch annually. And now, suddenly, one of the oldest parts of the city is not bad place to be looking for a new place to eat. The new restaurants offer a mixed bag of options, from white-linen high-end to paper-napkin take-away. Want to break the bank? Try Ellipsis, with its buzzing bar and trendy European food. Missing the UK? Head to Pizza Express, the first Indian outpost of the London brand. Want to boogie? Choose from the gaudy, tacky Ghost (which replaced Prive) or the tiny, sparkly LIV (which replaced Red Light). Just craving a snack? Australian café brand Di Bella has an outpost here and hole-in-the-wall Leo’s Boulangerie is a few streets down from Leopold’s. Taking family-shamily to lunch? Shahi Dawat serves Parsi and Awadhi cuisine. Chilling with beer and kebabs? Rooftop Café Marina overlooks the sea. Nostalgic? Chikita, the old-time snack bar (which morphed briefly into a Falafel’s) is back as Chikita Café. And for when you’re not in the mood for plates, there are tiny outlets of Faaso’s and Cocoberry. 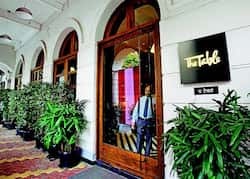 Abhishek Honawar, one of the partners of Woodside Inn which opened five years ago in Colaba and recently in Oshiwara, is however, dismissive of this distinction between South Mumbai and the suburbs. “Our clients in both locations are well-travelled, tech-savvy and aware of what they are consuming. This difference may have been true in the past, but not anymore.” But despite Colaba’s obvious affluence and the rise in purchasing power, real estate constraints over the last decade stymied the restaurant growth that could cater to this demand. This means that restaurateurs can’t afford to take their diners for granted. Woodside Inn, though well-established and very popular, still doesn’t mean the owners can rest on their laurels. To make sure they maintained their reputation as a gastro-pub, Honawar says they brought down a foreign chef last year to improve the quality of the kitchen processes and introduce new items on the menu. “We’ve started preparing our filet mignon in a new way, the combination of meats in our burgers has been altered and even our plating style has changed,” he explains. All the restaurateurs agree that the spurt in foreign tourism has also been a positive influence on the restaurant business. “Colaba is one part of town that has a great feel to it,” Talwar points out. “There’s an element of romanticism and history. Every tourist wants to visit Colaba.” While the terror attacks on 26 November 2008 and the slump in the economy slowed down any chance of a restaurant boom in previous years, the situation has improved considerably. 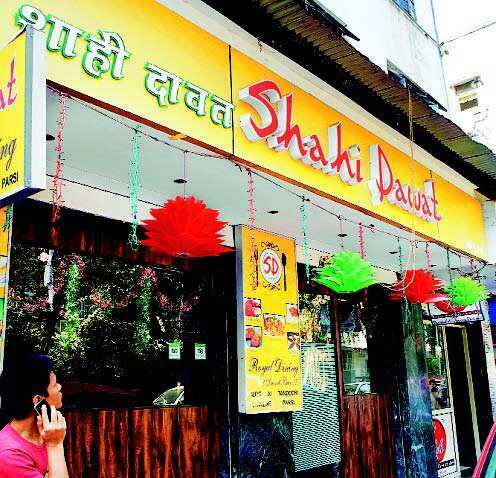 Even a small restaurant like Shahi Dawat, well off the arterial Colaba Causeway sees a steady stream of tourists popping in. And in the last few years, the quality of the tourist has changed too. Hippies who favoured budget hotels have been replaced with wealthier, European, American and Middle-Eastern tourists and their families. In the coming years, restaurants that fail to keep up with contemporary trends or find it hard to appeal to a younger diner are likely to shut down. With very little new real estate inventory opening up in Colaba, it’s the older establishments which have all the licenses in place that are likely to face the greatest pressure. So, if you have an old-time favourite you haven’t visited in a while, this is the time to do it; there’s a good chance it won’t be around for long. Bade Miyan is one of the oldest food outlets in Mumbai. The kebab stall came up in the spot allocated to the owner’s ancestors to slaughter goats outside the fort walls. The scraps were used to make kebabs. Kailash Parbat opened in 1952. In 1972 Led Zeppelin, who were staying at the Taj Mahal, jammed with local musicians at Slip-Disc, one of the most popular clubs. During the day it was popular with college students who for R5 would get a coke, wafers and dance as long as they wanted. Slip-Disc shut down in the 80’s and became Voodoo Edward VIII right opposite Cusrow Baug, which shut down in the early ‘90s, was a teenage hot-spot for watermelon juice, chicken sandwiches and first dates. Golden Dragon at the Taj Mahal opened in 1973, introducing Indians to Sichuan cuisine. You still need reservations. Indigo, the first chef-proprietor, fine-dining restaurant in Mumbai opened in Colaba in 1998. It proved to be a game-changer by showing that high-end food and service were not exclusive to five-star hotels. Cafe Basilico, the first all-day European bistro-style restaurant opened in 2001.